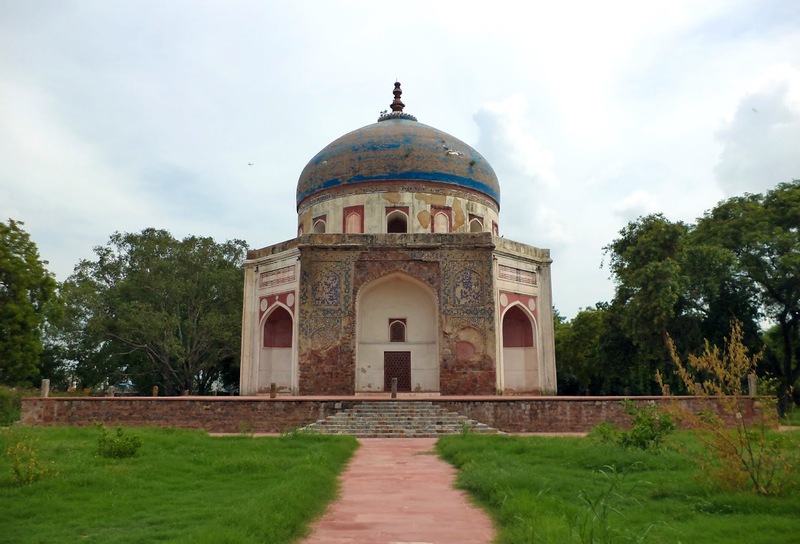 Nila Gumbad is the earliest Mughal-era building in Delhi, even pre-dating Humayun’s Tomb. Nila Gumbad also known as 'Blue Dome', because of the brilliant colour of its dome, stands adjacent to the Humayun’s Tomb garden. It was built by Abdul Rahim Khan-I-Khana, son of Bairam Khan in 1625, a noble in Akbar’s court. The structure is known for its unique architecture, as it is octagonal on the outside while square within; its ceiling is decorated with painted and incised plaster. 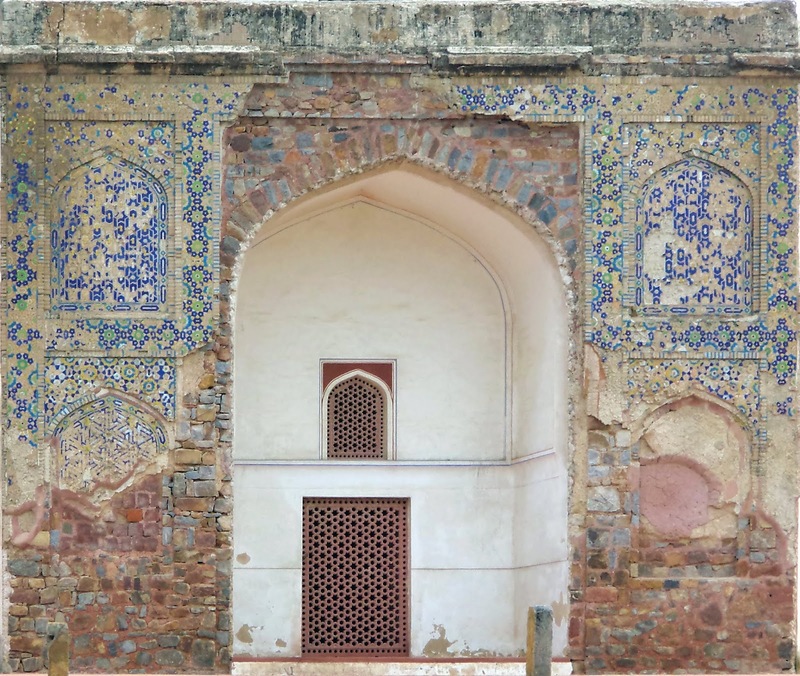 The tomb is mainly of local grey quartzite and is plastered both internally and externally. 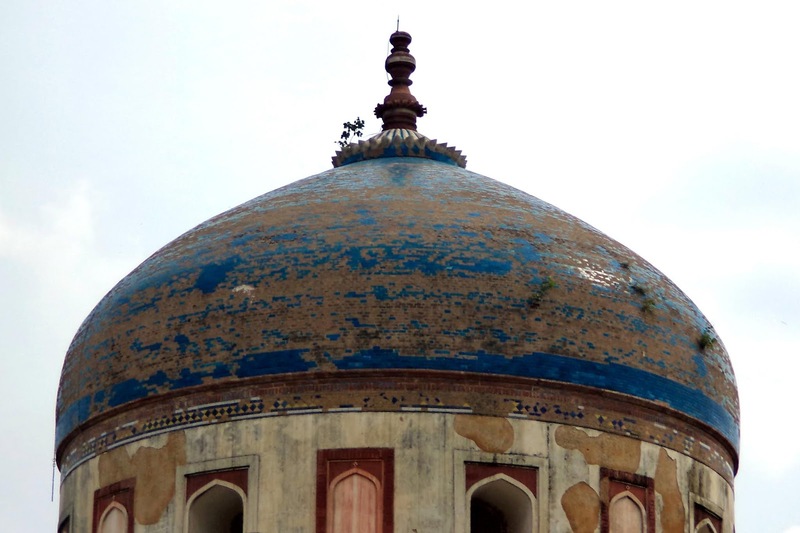 The dome is covered with dark blue tiles and there are blue and yellow tiles around the drum. 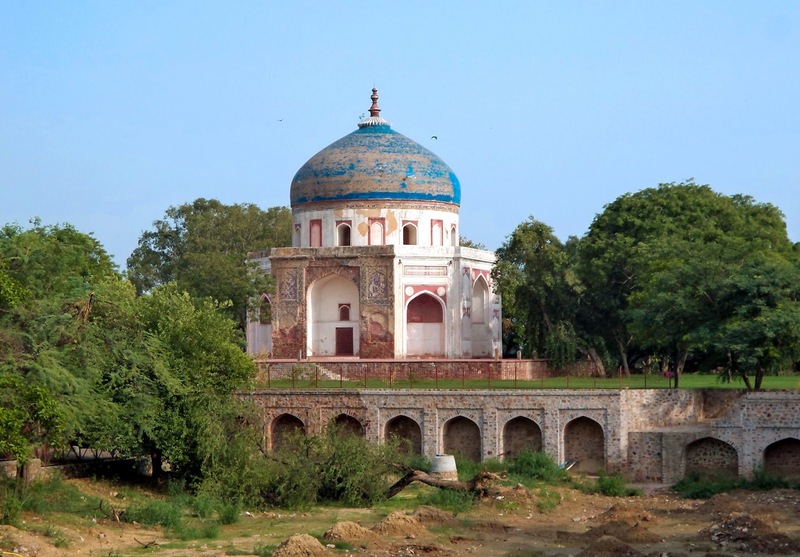 The tomb stands on a platform 109 feet square and 5 feet high. 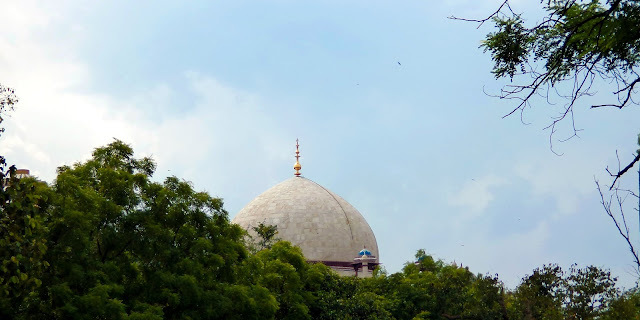 Its dome is raised on a high circular drum and is crowned externally by an inverted lotus with a red sandstone finial. 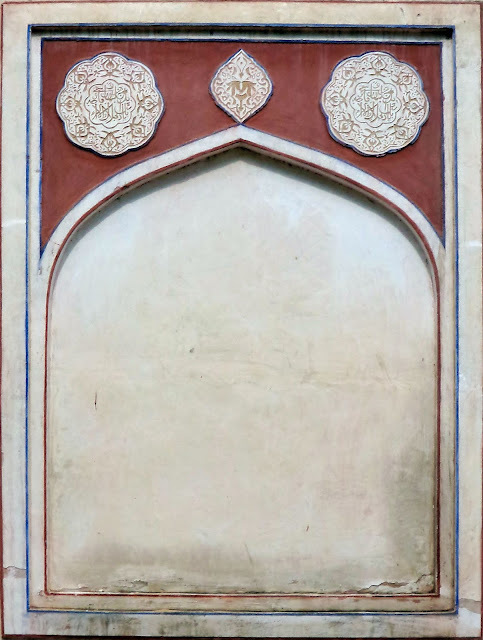 Also there is no grave or sarcophagus inside the tomb. 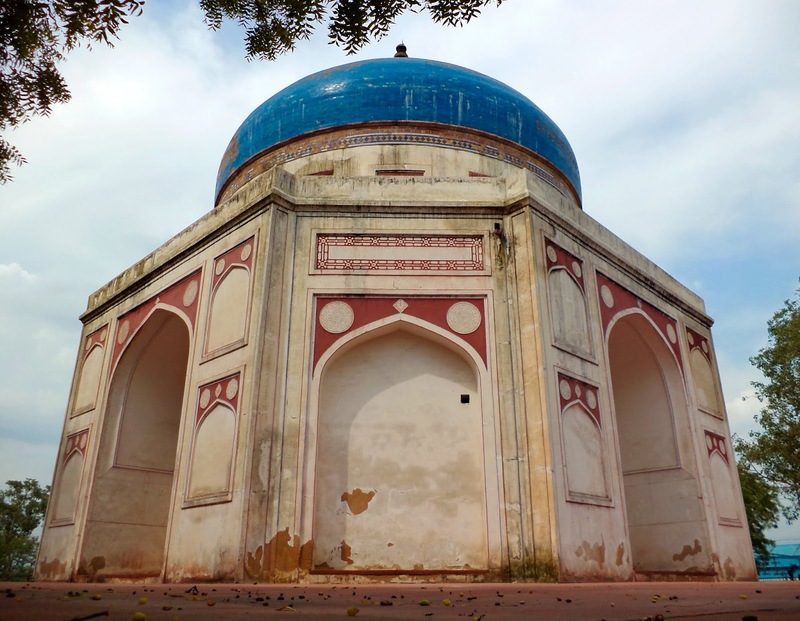 Nila Gumbad was originally surrounded by a walled enclosure and is recorded to have been originally entered through a large gateway on the south - both have now disappeared. 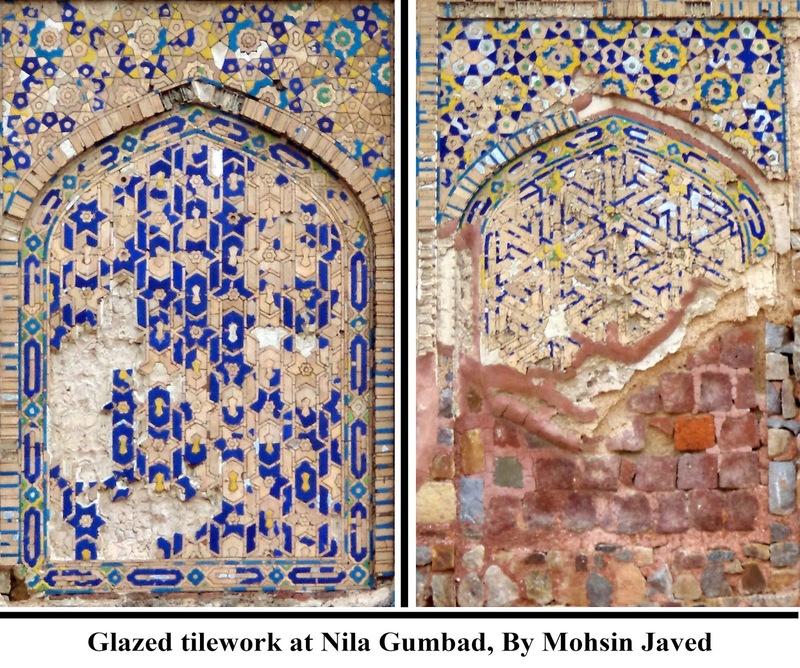 The conservation of Nila Gumbad is done by Aga Khan Trust for Culture (AKTC) and its enclosure wall also restored the architectural integrity of the Humayun’s Tomb Complex.